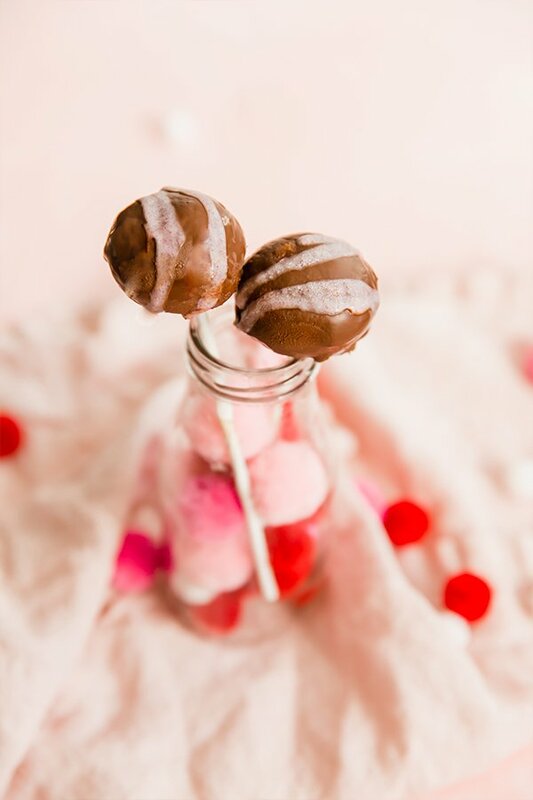 Remember when cake pops started to become all the rage? I was in college and I was so into the idea of making cake pops. They are so cute, and the perfect little serving to satiate a treat craving. I tried making some myself, and between baking an entire cake, allowing it to cool, rolling out cake balls, and coating and decorating them, it took forever. Then I started seeing cake ball makers, and I honestly couldn’t handle another gadget! 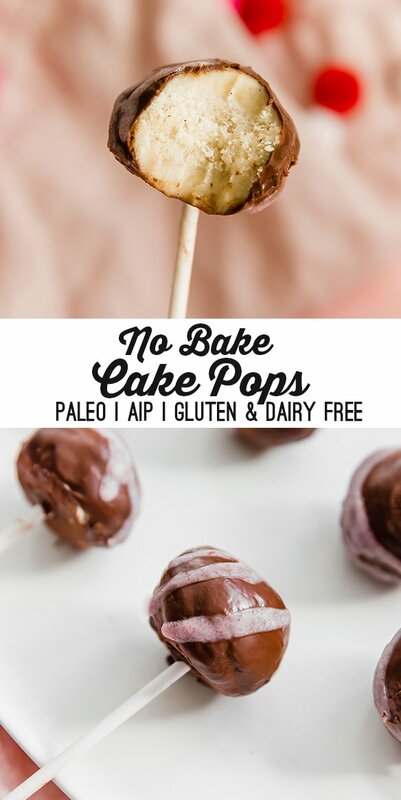 These no-bake cake pops cut out the bake time, and they’re paleo, gluten-free, and AIP compliant! 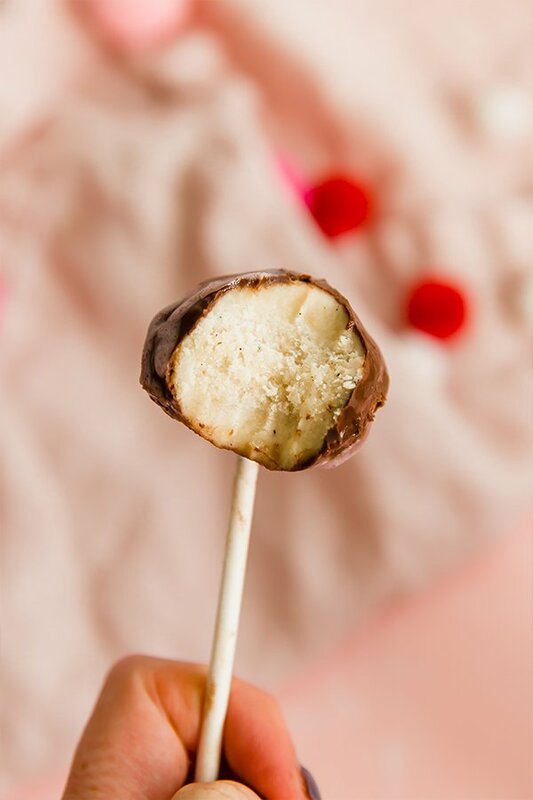 Coconut butter is also known as coconut mana and gives these cake pops a great texture. The trick with coconut butter is to get it to the right consistency. You don’t want the coconut butter to be rock hard or you can’t stir it, but you don’t want it to be melted or it won’t actually hold. I’ve found that it’s best to place the coconut butter jar in a pot of hot water and get it to the point where you can just get a knife into it. However, if the coconut butter is over melted, you can simply just place it in the freezer for a bit to firm up. These also help hold the cake pop together. You can also use tapioca starch. 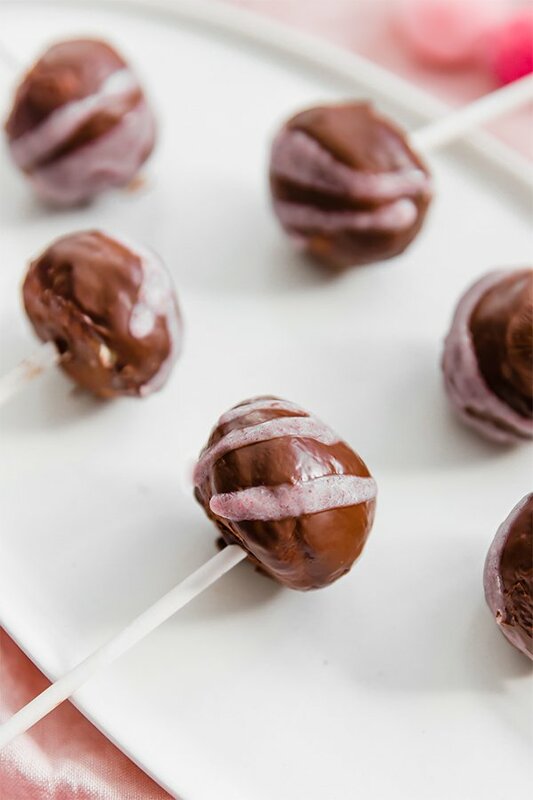 This helps the structure of the cake pops and adds a little protein boost. This really ups the cake-y flavor! If you don’t have any on hand, you can leave it out. I like to use Eating Evolved or Enjoy Life chocolate, but it’s up to you! If you’re AIP, I’ve listed a homemade carob recipe that you can swap it out for. However, you can honestly forgo the chocolate coating altogether and just have vanilla cake balls!